MidwestHR's 180 Initiative 2018 Scholarship Winner Announced! MidwestHR’s 180 Initiative 2018 Scholarship Winner Announced! 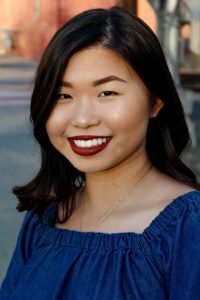 The 180 Initiative Scholarship Committee and the rest of the members of MidwestHR are very happy to announce our 2018 Scholarship winner: Miss Maggie Wang. Maggie will be graduating high school with a weighted GPA average of 4.80. She will begin her college career at Duke University to major in biology. In high school, Maggie served as the Vice President of After School All Stars, a tutoring club, where she worked with elementary students, developed lessons and encouraged the students to excel in their academics. Maggie served as a summer research intern for two years on the Chicago Diabetes Project at University of Illinois Chicago and continued her internship at University of Virginia in their research lab. Maggie has also dedicated time to her school’s environmental club as their Vice President. Maggie is fluent in English and Mandarin, proficient in Spanish, plays the piano and expresses her artistic side in several forms of media to include watercolor, oil painting and drawing. “I am looking forward to embracing the real-world and facing challenges, not only those that I have to face but also those that the world faces. I strongly believe that education is not the sole solution for solving all problems, but rather the mindset that is cultivated through education is a foundation for success regardless of social status or ethnic backgrounds. What our generation is inheriting is much more significant than what we can truly understand, as the world is growing increasingly complex. Thus, it is necessary to take action ourselves and work together, because with dedication and passion, we can make a real impact. ” Maggie Wang. MidwestHR is extremely proud of Maggie and all her accomplishments and wish her luck in her continued success!